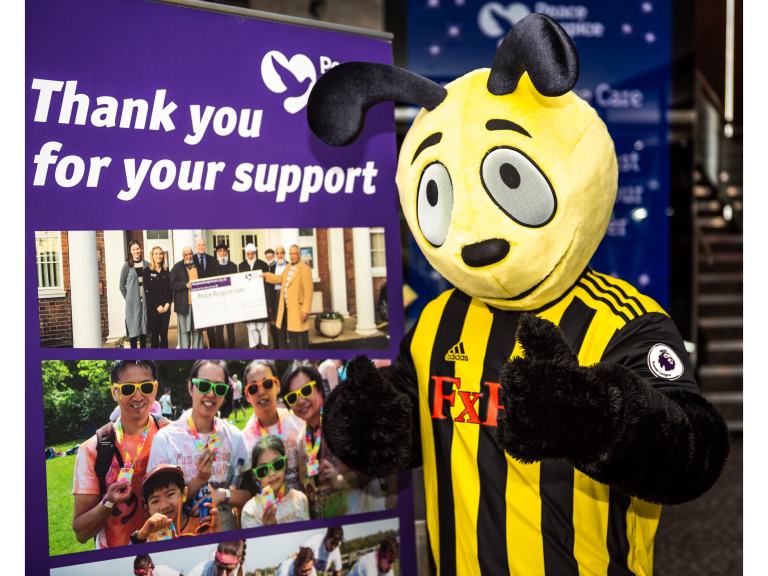 Peace Hospice Care’s Black Tie Dinner on Thursday 8th November at Watford Football Club, sponsored by The Diamond Trust, smashed its target for the night, raising £36,254. Some 165 guests attended the event, where they enjoyed a drinks reception, three-course dinner, silent auction and a live auction. Ex-Watford FC star, Luther Blissett attended as a special guest, alongside new patrons of the charity, Camilla Tominey, Associate Editor at The Telegraph and Robert Voss, HM Lord-Lieutenant of Hertfordshire. For more information about Peace Hospice Care and for upcoming events, please visit https://www.peacehospicecare.org.uk/events.